Social Media has a tendency to drag up people from our past. For most of us, this is something we tolerate, but for some people it creates a reason to avoid social media. However, if you’re in business for yourself, your social media network is critical to your business’s success. It can even be important to be friends with people from your past that you don’t necessarily want to hear from every day. Here’s why: these people expand your network exponentially and provide new potential clients via word of mouth. For every small business, it is key that as many people as possible know what you do — name recognition. This is a version of branding, the goal of which is for as many people as possible to connect what you do (insurance, real estate, massage, selling clothes online, graphic design, etc.) with your name. Fortunately, it is possible to create a social media network without facing your high school demons, hearing about what ex’s are doing, or offending anyone you don’t want interact with via social media. In this first installment, let’s take a look at how to do this successfully on Facebook. 1. The easiest way to avoid interacting with people is to only be friends with certain people. 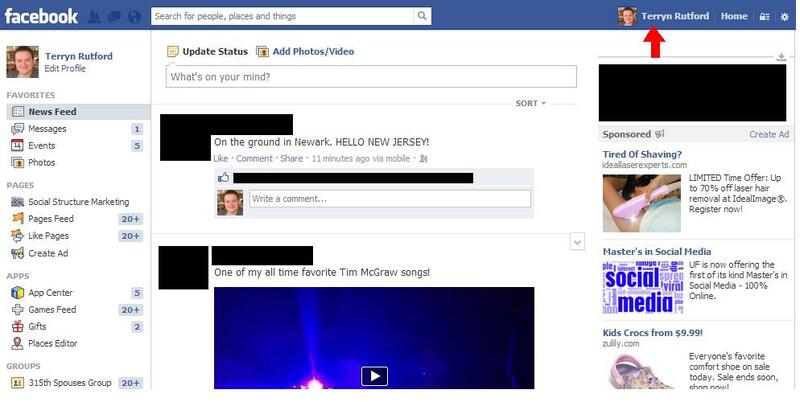 Facebook has a news feed; the people that you’re friends with are the only people who’s posts show up in your news feed. When someone requests to be friends with you, you can reject or ignore this request without the other person getting any notification. Simply select “Not Now” when you receive a friend request. 2. If you are friends with someone who you later decide you don’t want to be FB friends with for whatever reason (offensive posts, spam posts, etc. 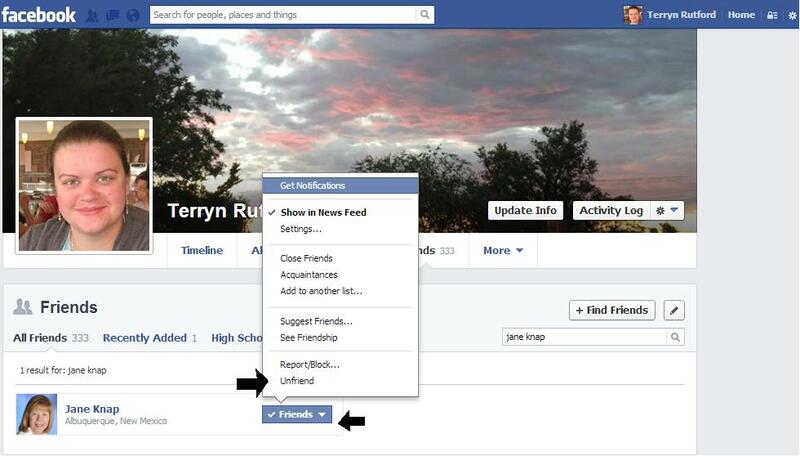 ), you can “unfriend” them without them getting any notification. Directions below. a. First, find your profile by clicking your name in the top right. b. 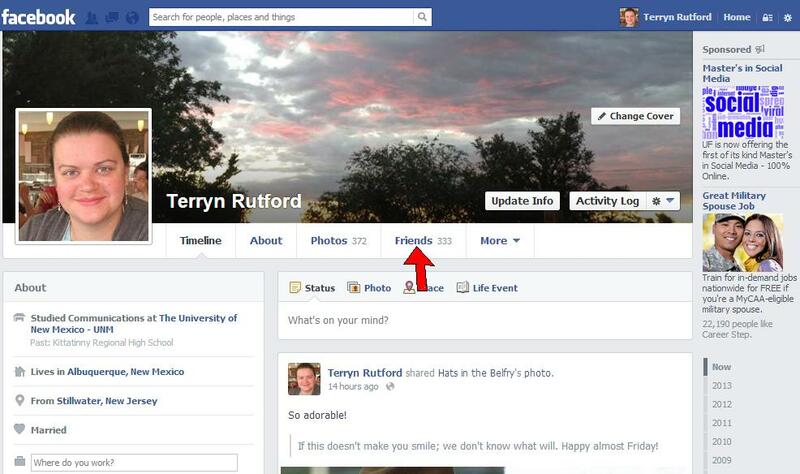 Then, find your list of friends by clicking “Friends”. 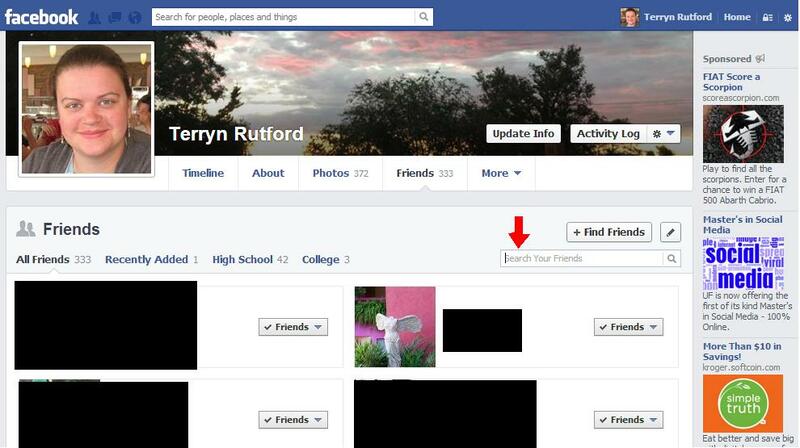 c. Next, find the search box and type in the name of the person you want to “unfriend”. d. Next to their name, there is a blue button that said “Friends”. Click on that button and you will get a menu like you see in the picture below. Click the “Unfriend” option and you’re done! 3. If you want to stay friends with someone, but you don’t want to know what they had for lunch or what they’re doing for the weekend, you can hide them from your news feed. See directions below. a. 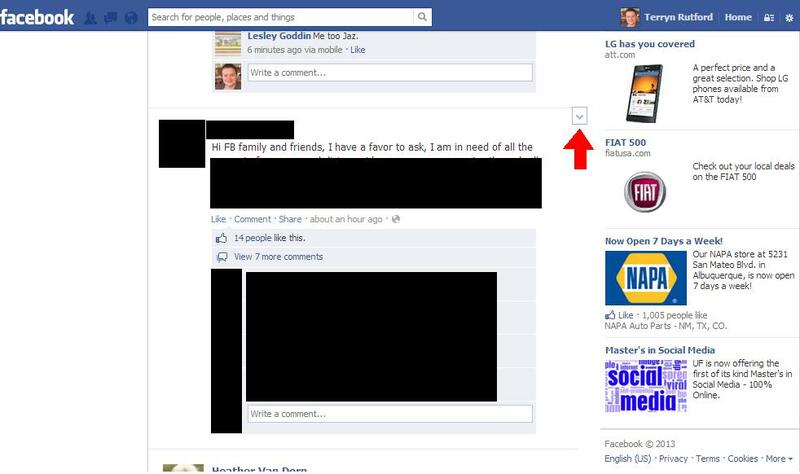 When you see an update on from someone on your news feed that you’d prefer not to see, point your mouse over that post and a little arrow pointing down will appear. Click on it. b. When you click on the arrow a short menu will appear. The top most option will say “hide”. Click on it. c. Once you’ve clicked “hide”, the post will disappear and a message will pop up. One of the options in this message will say “change what updates you get from …..” Click this option. d. Clicking this option will bring up another menu that will give you options about what posts from that person you’d like to see. 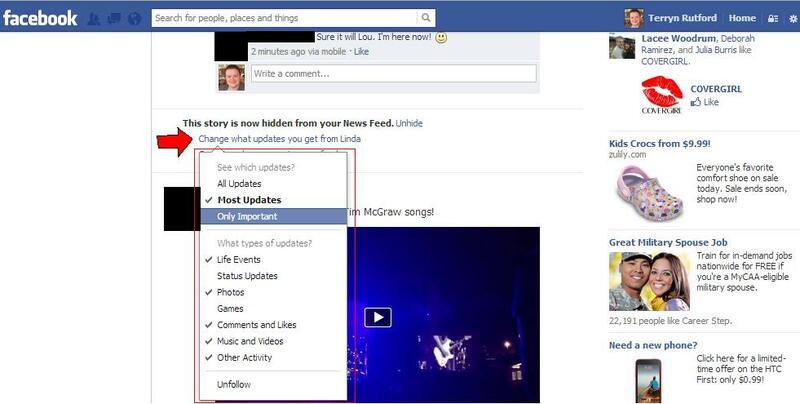 There are a variety of options to choose from including an “unfollow” option all the way at the bottom that will stop any of that person’s updates from showing up in your news feed. If you follow these directions, you should be able to enjoy the benefits of social media networking without sacrificing your sanity! Please leave any questions in the comments and we will answer them as soon as we can. Social Structure Marketing is a small locally-owned and operated business. Our goal with any social media campaign is to make your name or your company’s name synonymous with whatever service or product you sell. And your name can’t be known if your not visible. At SSM we believe that visibility is the key element to success in social media marketing. This entry was posted in Social Media - How To and tagged Business, Facebook, Facebook features, LinkedIn, Networking, Pinterest, social media, Social media marketing, Social network, Social networking service, Twitter. Bookmark the permalink.